Cradle Coast Tours are experts in showing visitors around Tasmania’s Northern region. Cradle Coast Tours focus on ensuring their guests have a relaxed holiday, and their guides have first-hand knowledge of the local area. The Cradle Coast region includes such highlights as Cradle Mountain, Stanley, Table Cape, Boat Harbour, Leven Canyon, Tamar Valley and the beautiful Gunns Plains Caves. Tours start with as few as two, and no more than seven guests. You will travel in style and at ease in one of Cradle Coast Tour’s reliable vehicles and simply take in the amazing local scenery. Your guide Howard Smith is an award-winning, certified and experienced tour guide with a wealth of local knowledge that comes from many years of living and working on Tasmania’s Northern region. 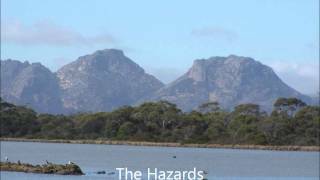 You will be given insights into many aspects of this area of Tasmania that only comes from personal experience. All tours include light lunch and entry to National Parks. Free Wi-Fi. Other tours can be arranged on request, such as day tours for cruise ship passengers from Hobart and Burnie. Three-day tours are a popular way of seeing the whole region, as are seven-day tours of the entire state of Tasmania. Discover the delights and history of the coast. Pick-up from your accommodation in Devonport or Burnie. Visit the Pioneer Village in Burnie, magnificent Table Cape, the pristine beaches of Boat Harbour, historic village of Stanley. Take a ride on the chairlift up the Nut. Your tour includes pick up from your accommodation between Devonport and Burnie. You are then taken along Bass Highway to the picturesque art and craft town of Deloraine. On the way you will sample local cheeses and berries. Once you arrive in the Tamar Valley you visit some of the boutique vineyards specialising in cool climate wines. It's a perfect way to find out about Tasmania's fine food and wine. Port Arthur is a fantastic tour for anyone who is even remotely interested on History! It is a kaleidoscope of wonderful old buildings, restored recently and telling a fascinating story about the sad early history if Van Diemen's Land. We also spend time exploring the wonders of Tasman Peninsula, as well as Richmond village. Explore Tasmania's most identifiable mountain. The tour includes pick up from your accommodation in Devonport or Burnie. You visit the town of murals, Sheffield, on the way to majestic Cradle Mountain. You can choose to take a short walk by Dove Lake or just take in the alpine scenery. Spectacular at any time of year. Spectacular landscapes, above and below ground. Your tour includes pick up from your accommodation in Devonport or Burnie. You stop off at spectacular Gunns Plains Caves before going on to Leven Canyon, where we take a short walk to look out over the canyon hundreds of metres below. Absolutely awesome!